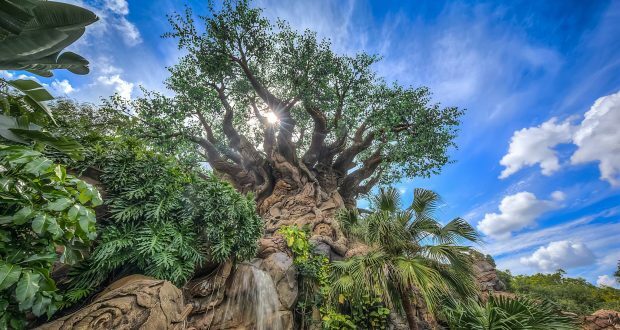 Have you ever been to Disney’s Animal Kingdom? If not, you may be wondering what you can expect to see and do there. 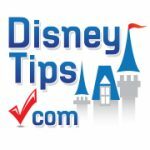 Just like any other Disney park, this one has fun from A to Z, and we’re going to use this article to help you learn what you’ll find there. Animal Kingdom is split up by “lands”. Two of the most fun lands are Africa and Asia. Each of these areas leaves guests feeling as though they’ve been transported across the globe through the use of scenery, entertainment, and awesome themed rides. Located in an entirely different section, the Boneyard is an amazing play area for kids. Here, younger guests can run, climb, and slide to their heart’s delight. There is also an awesome digging area where kids can help excavate an entire skeleton. One of the best things about visiting any Disney park is meeting all of your favorite Disney friends. 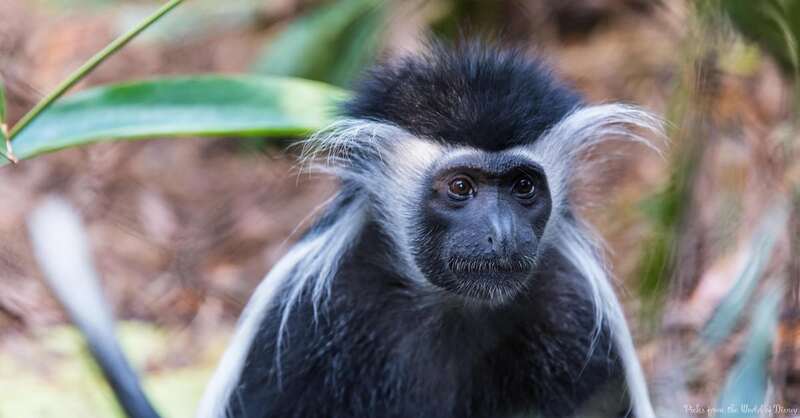 In Animal Kingdom, you’ll find classic characters such as Mickey and Minnie dressed in full safari gear, as well as some more unusual characters such as Flik from A Bug’s Life, Tarzan, and the beautiful Pocahontas. A favorite of many young children, Dinoland U.S.A. is another land and has all kinds of dino-themed fun. The dark thrill ride “Dinosaur” lives here, as does the spinning roller coaster known as Primeval Whirl. 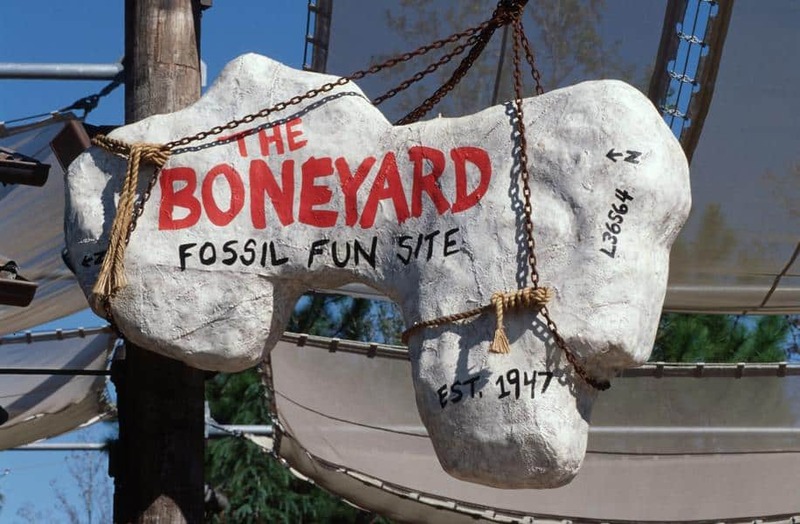 The aforementioned Boneyard Playground can be found in this area, as can a dino-themed eatery, carnival-style games, and a triceratops ride for little ones. No visit to Asia is complete without checking out Mount Everest. 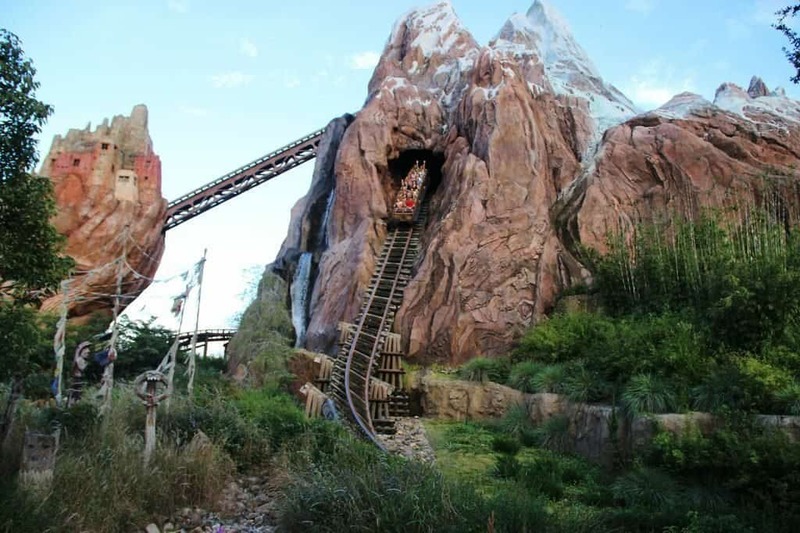 Luckily, Expedition Everest allows you to do just that on a wonderfully thrilling coaster. Zip up and down and through the mountain, but be sure to watch out for the dreaded Yeti! People often ask what the best quick-service option is on Disney property. This is a difficult question to answer, but we have to say that Flame Tree Barbecue is definitely high on the list. The food here is fantastic, and its counter-service prices make it all taste even better. Every Disney day should be finished with a grand finale. At Animal Kingdom this finale is the “Rivers of Light” show, an incredible show that is offered nightly. “Rivers of Light” uses water, music, and projections to put on a nighttime spectacular you won’t soon forget. Want a break from the hustle and bustle of the theme park? You might try wandering down one of the park’s trails. A short and easy hike will give you the opportunity to see many amazing creatures while enjoying a more peaceful environment. Yet another “land” in the Animal Kingdom park, the centrally located Discovery Island is full of fun and celebration. Here you’ll find gift shops, food, music, dancing, and more as you wander through to your next adventure. 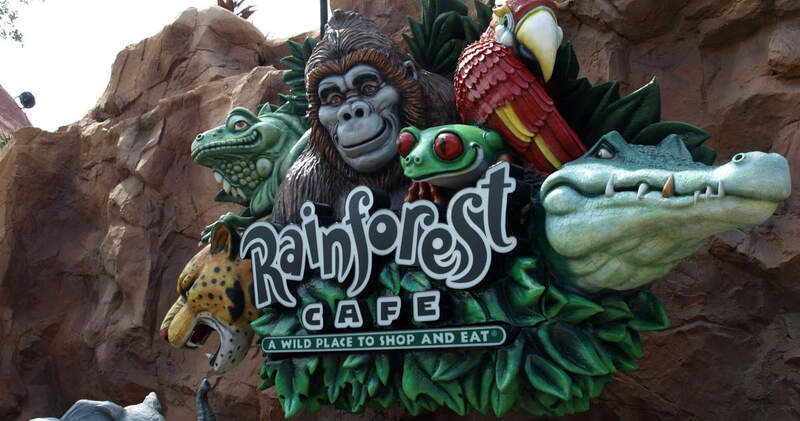 Rainforest Cafe is located inside of Animal Kingdom and offers an amazing jungle dining experience. This super fun table-service eatery is filled with the sights and sounds of the jungle, including some pretty awesome animatronics. Kilimanjaro Safaris is a super cool attraction that allows you to get an up-close view of some seriously awesome animals. You’ll hop aboard a safari vehicle, which is then driven through an African wildlife preserve full of beautiful and incredible creatures. Obviously an animal-themed park needs to include the king of the jungle. The “Festival of the Lion King” show in Africa fills this role nicely, entertaining guests with Lion King characters and a variety of amazing acts. Watch carefully when walking through Asia in Animal Kingdom because you might just see some mischievous monkeys. These little guys live on their own private island and love running, jumping, and playing, putting on a great show for guests. In addition to “Festival of the Lion King”, this park is also home to an amazing Broadway-caliber show, “Finding Nemo the Musical”. This super fun show follows the adventures of Nemo, but uses music and dancing to help tell the story. The very first land you see when walking into the park, the Oasis doesn’t have much to offer. That said, you will still want to take your time walking through, as there are some pretty awesome animals to check out along the way. 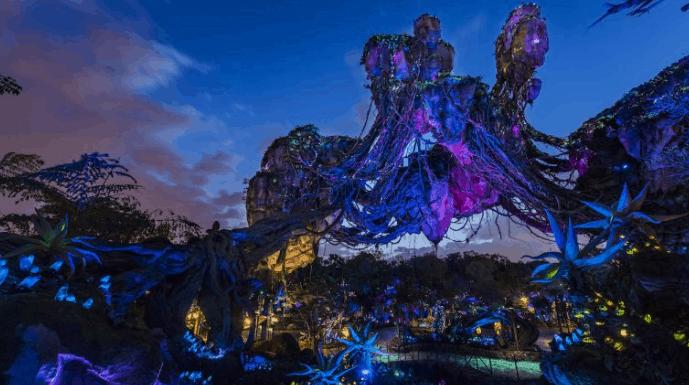 The newest of the Animal Kingdom lands, Pandora is a must-see. This incredible area includes the super cool Flight of Passage ride as well as Na’vi River Journey, a beautiful boat ride through Pandora. Be sure to see this area at night, as the plants are all bioluminescent, making it absolutely gorgeous. Pay attention when waiting in line queues at Animal Kingdom. Most of them help tell the ride’s story, making the whole experience more immersive and entertaining. Kali River Rapids is another awesome ride found in Asia. As you might have guessed, this is a river rapid ride, and it is done in perfect Disney style, with fun storytelling and a powerful message along with a hefty dose of fun. Found throughout the park, street performers are always a fun addition to any theme park day. Check out the super cool band in Africa or the dance party in Discovery Island. You won’t be disappointed! 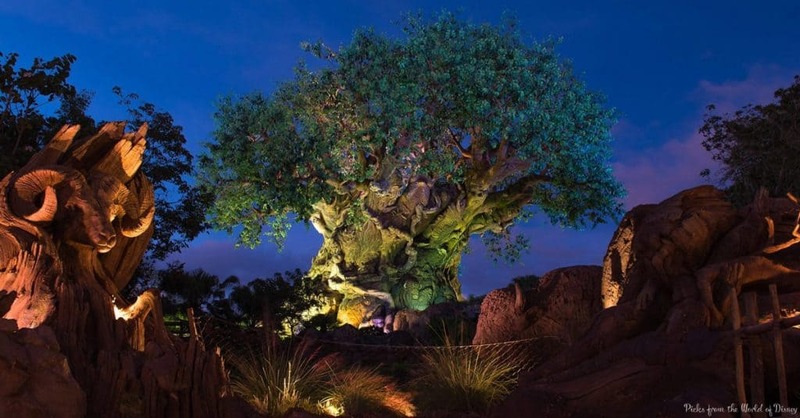 The centerpiece of Animal Kingdom—and a fantastic piece of art besides—the Tree of Life is iconic. Be sure to get your picture taken in front of it, and stop by after dark to watch the tree come to life in a wonderful projection show. “Up! A Great Bird Adventure Show” is the newest show in the park. It is both fun and educational and features some of our favorite friends from the Pixar movie Up. One of the most bizarre things you’ll find in a Disney park, DeVine the vine lady wanders through Animal Kingdom from time to time, taking guests by surprise. You have to watch carefully for her though, as she looks exactly like a plant and blends in quite well. The wilderness must be explored! 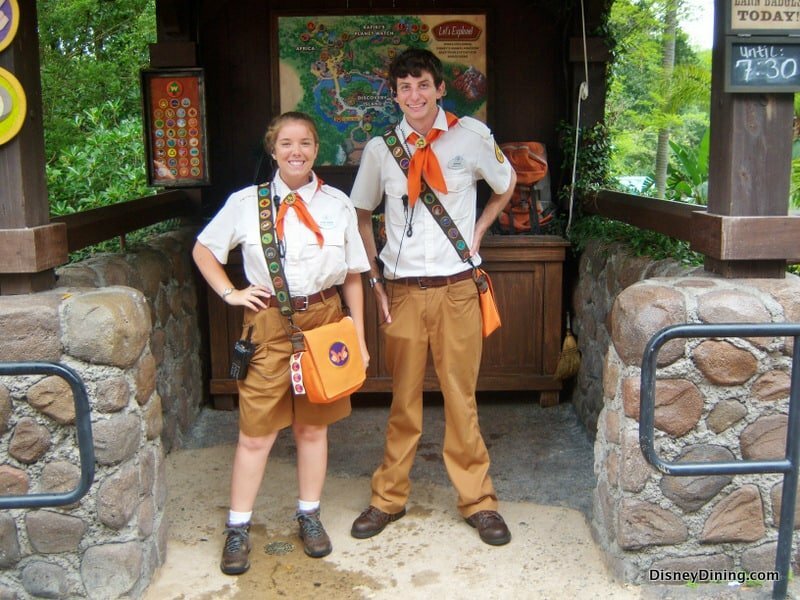 Join the Wilderness Explorers and earn stickers at various stations throughout the park. This is a wonderful program that kids absolutely adore. At the entrance to Kilimanjaro Safaris and during the ride itself, you will see some baobab trees. These incredible trees are very strange to look at, but actually have the awesome ability to retain huge amounts of water and store them away for the dry season. Plants that can do this are considered xerophytic. A guest favorite, Yak and Yeti is a great place to grab a meal while in Asia. Don’t want to wait around for table service? Try their quick-service location, Yak and Yeti Local Foods Cafe. Finally, we must remind you that Animal Kingdom is a zoo in addition to a theme park. Be sure to make time to see some of the magnificent creatures who live here.